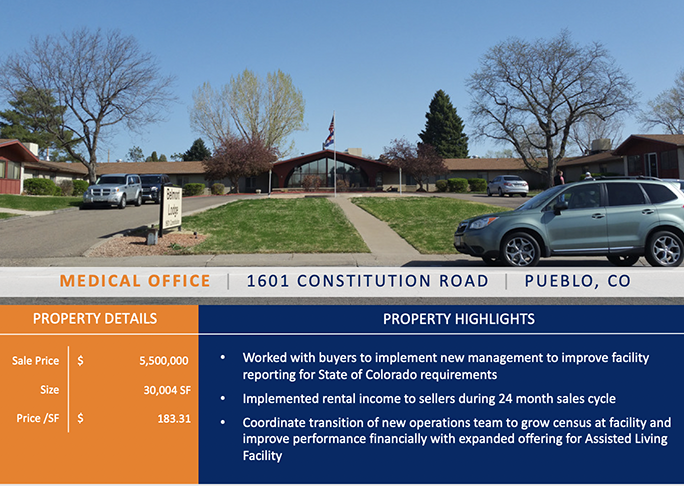 Pueblo, CO SVN / Denver Commercial is pleased to announce the sale of Belmont Lodge Health Care Facility, a senior housing and nursing facility located at 1601 Constitution Blvd, Pueblo CO 81001. The property, sold for $5,500,000. Senior Advisor Bill Reilly and Team Analyst Jack Reilly of SVN represented the Seller, and Barry Bounds of KW Commercial Real Estate, LLC, represented the Buyer (Constitution Road Realty, LLC). “SVN was able to successfully work with existing facilities management group that was entwined in a State imposed ‘special focus’ decree that was negatively impacting operating returns”, according to Bill Reilly . “The Buyers were able to place their own facilities management group in place while negotiating a short-term lease, in order to work with the State Senior Housing Department to keep this needed senior housing facility open and o ultimately be removed from ‘special focus’ status”, he added. The Buyers are experienced in operation and ownership of similar facilities mainly located in the eastern United States. That operating company is Constitution nursing and Rehab LLC, headquartered in New Jersey. Founded in 1987, SVN International, based in Boston, MA, has over 1,600 advisors in more than 180 markets around the globe. SVN is the only national firm that proactively shares its fee 50/50 with cooperating brokers. 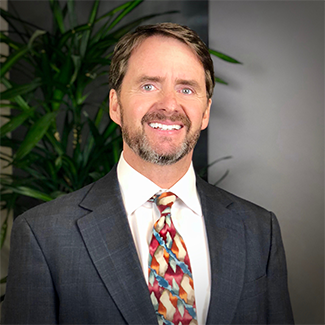 Guided by this principal of cooperation, SVN has advised clients on billions of dollars in office, multifamily, retail, industrial, hospitality and land transactions.